Racquets sports is where it all started for David Lloyd Clubs, so it is no surprise we’re so passionate about it. With 30 years of experience, we are able to offer our members world-class facilities matched with an excellent coaching team. It doesn’t matter if you have never picked up a racquet, we’ve got everything you need to improve your game and increase your confidence. And, if you’re an experienced player our coaches can work with you to improve your technique and get you match ready. All the tennis fun isn’t just for adults, we run brilliant programmes to get even our youngest members involved. They’ll be taught great tennis skills, develop co-ordination, and learn the importance of team work and sportsmanship all whilst having fun and making new friends. Given our love of tennis, its no surprise our facilities are second to none. With both indoor and outdoor courts, there is always plenty of space to play all year round. We know that starting something new can be daunting but we have plenty of options that you can choose from to pick up your racquet and get involved. We have one-to-one sessions on offer, as well as great classes to get your kids involved in the sport too. The fun isn’t just all on the court, we also have a great community of tennis-lovers off the court too. 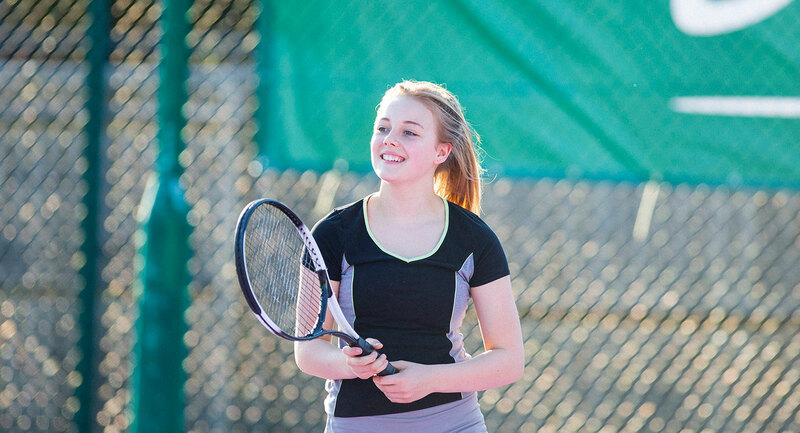 Whether you have played tennis for years or you’re a complete beginner, we will have a coach for you. If you want to improve your technique, build your confidence or focus on a specific part of your game you’ll definitely benefit from coaching. Our teams are second to none and can provide you with plenty of coaching options. Padel is available at our Brussels club and is a super-fast variety of tennis that is really popular in Spain and Latin America. Once you’ve tried it, you’ll know why it’s such a loved sport! Padel tennis is played on an enclosed court in pairs, and it's great fun. Not only is it super easy to pick up, but it's a really sociable sport too.